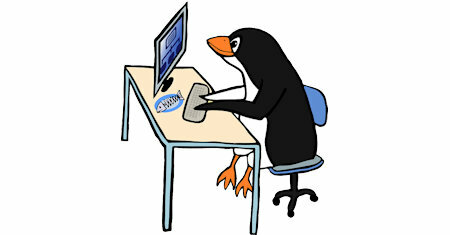 Linux systems are everywhere today. If you’re a sysadmin, network administrator, or developer in a small Windows shop, you may have to jump in and fix a system problem when your site goes down. This short guide provides tips to help you survive. Linux kernel crash analysis is a niche topic, which will interest system administrators and professionals dabbling in the kernel. This book is as a very extensive learning lesson in what goes behind the curtains of a typical Linux system. With User Mode Linux you can create virtual Linux machines within a Linux computer and use them to safely test applications, network services, and even kernels. You can try out new distributions, experiment with buggy software, and test security. To keep your Linux systems secure, reliable, and productive, you must stay current with patches and updates. Linux Patch Management fills the gap, offering Linux professionals start-to-finish solutions, and examples for every environment. The only published resource devoted to SpamAssassin and how to integrate it effectively into your networks. This clear, concise guide clarifies the installation, configuration, and use of the SpamAssassin spam-checking system. This book teaches students how to install GNU/Linux. Students should install, create and manage user accounts, install new hardware, make backups and many other mission critical tasks a System Administrator would need to know. Written by the creator of Webmin, this book explains how to use the most popular Webmin modules to perform common administration tasks on a Linux system such as adding users, configuring Apache, setting up NFS file sharing and managing mail servers. In-depth, real-world coverage of every key aspect of system administration: user management, security, networking, Internet services, package management, C programming, kernel compilation, hardware configuration, and much more. The GNU/Linux systems have reached an important level of maturity, allowing to integrate them in any kind of work environment. You will learn how to install and configure several computer services, and how to optimize and synchronize the resources. The definitive Samba-3 guidebook. This book's complete configuration files, step-by-step implementation instructions, network diagrams, and automated scripts make deployment a breeze -- even if you've never worked with Samba before. The definitive guide to using Samba-3 in production environments. It begins with the immense amount of HOWTO information published by the Samba Team. The material is organized and edited around the practical needs of working Windows administrators. This guide provides an overview of many of the tools available for IP network administration of the linux operating system. It covers Ethernet, ARP, IP routing, NAT, and other topics central to the management of IP networks. This document hopes to enlighten you on how to do more with Linux 2.2/2.4 routing. You already run tools which allow you to do spectacular things. Commands like route and ifconfig are wrappers for the very powerful iproute2 infrastructure. This document is a general overview of security issues that face the administrator of Linux systems. It covers general security philosophy and a number of specific examples of how to better secure your Linux system from intruders. This document covers some of the main issues that affect Linux security. General philosophy and net-born resources are discussed. The document is not meant to be a up-to-date exploits document, it will tell you where to look for such information. A complete reference for new Linux users who wish to set up and administer their own Linux home computer, workstation or their home or small office network. The answers are meant to be simple and always supported with a readily usable example. This documentation will attempt to summarize the installation and configuration, as well as the day-to-day administrative and maintenance procedures that should be followed to keep a Linux-based server or desktop system up and running. This book is intended for a technical audience and system administrators who manage Linux servers, but it also includes material for home users. It discusses how to install and setup a Linux Server with all the necessary security and optimization. This document outlines the set of requirements and guidelines for file and directory placement under the Linux operating system according to those of the FSSTND v2.3 final and also its actual implementation on an arbitrary system. The Linux System Administrator's Guide, describes the system administration aspects of using Linux. It is intended for people who know next to nothing about system administration, but who have already mastered at least the basics of normal usage. An invaluable companion for any system administrator interested in integrating Linux into their Windows environment. This book takes an in-depth look at exactly how Linux can be brought into an organization that's currently based on Windows systems. This book is a comprehensive guide to Samba administration, including integration with Windows NT domains and the SWAT graphic configuration tool. Trouble-shooting, security, connectivity, performance, and logging are thoroughly covered. This Guide provides background information about the way your SUSE LINUX operates. This book introduces Linux system administration basics such as file systems, kernels, boot processes, an Apache web server, and secure authentication. This document gives a good and simple primer at how to get started with iptables. The text requires some previous knowledge about Linux/Unix, shell scripting, as well as how to compile your own kernel, and some knowledge about the kernel internals. The guide introduces computer security, Linux installation, physical and console security, administration, backup, file security, authentication, logging, attack detection, firewalling, network security, software management, encryption, viruses, etc. This is a comprehensive reference for Linux network administration for both beginners and experienced network administrators. The book provides enough information to help you get your Linux network up and running and get you ready to learn more. The book Follows on the Linux From Scratch book, introduces the reader through system additions including networking, sound support, X support, printer and scanner support. Aimed at those who have previously built a system based on the LFS book. This ebook describes the Linux system administration for people who know nothing about system administration. It describes real world mail, DNS, proxy, web, messaging, server configurations. The contents can be applied to any distribution.